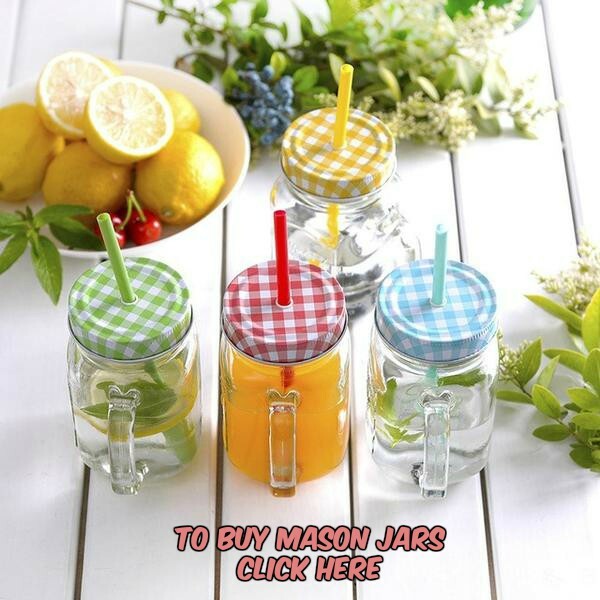 You are here: Home / Mason Jar Crafts - Celebrations / A Perfect Picnic – Starring the Mason Jar! A Perfect Picnic – Starring the Mason Jar! If it didn’t feel like Kansas had been relocated to Hell this weekend, I’d be outside beneath the umbrella on my patio enjoying the perfect picnic. I love a picnic – when it’s not so hot & muggy my nose is in danger of melting off. 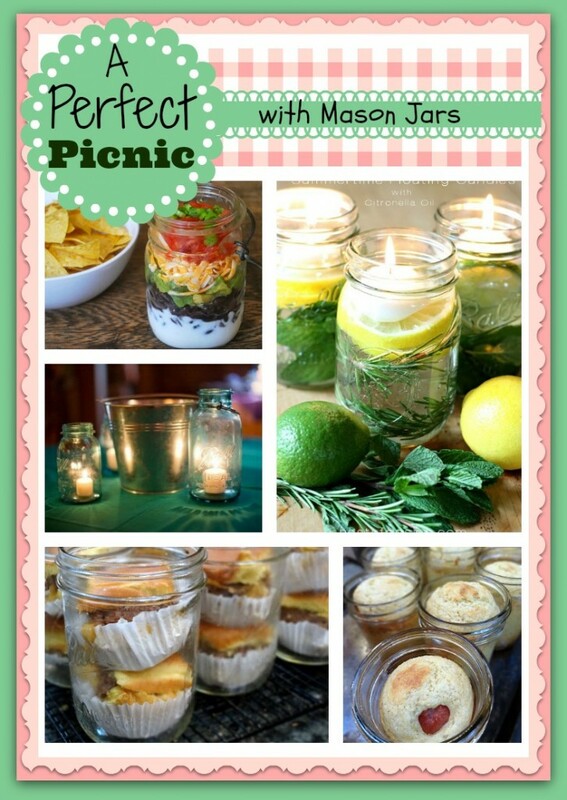 Insane heat not withstanding, when you see the perfect picnic ideas (using Mason Jars) these talented ladies have come up with, no doubt you’ll likely be as wowed as I am. This is absolute picnic awesomeness! Nest of Posies – I’m crazy about these summertime floating candles! They keep the bugs away using citronella oil and wonderfully fresh and colorful summer ingredients. Isn’t she a super smart cookie? Savvy Mom – Just look at this fresh layer dip, y’all. Don’t you want to make up a batch right now? Wedding Bee – This is a very simple centerpiece that’s perfect for a picnic. I love it because it looks so clean, but at the same time, it’s almost elegant. So lovely. What’s YOUR idea of a perfect picnic? Do tell! My jars will be going to Daytona Beach soon, when my son and grandson come for a visit! We’ll have salad in a jar, little sandwiches cut out to fit in a jar, cold drinks in a jar, and cupcakes or pies baked in my little half-pints! They will stack neatly in our cooler. When the jars are emptied, the lid goes back on until we get home, then they are easy to pop right into the dishwasher! No fuss, no muss, and no junk going to the landfill, and I get to enjoy my family instead of being stuck in the kitchen doing dishes. A picnic at the beach is simply the best! I can absolutely picture it! And PS: if you send me pictures, I’ll share them here!